Imagine you could have a home on the largest Greek island, Crete, overlooking the sea. A home combining perfectly the functionality with high aesthetic and the familiarity feeling with the enjoyment of holidays. This is exactly what we had in our mind when we decided in the spring of 2010 to change our hotel into an authentic hospitality hearth, into a luxurious and comfortable, where everyone can easily say “here I am”. 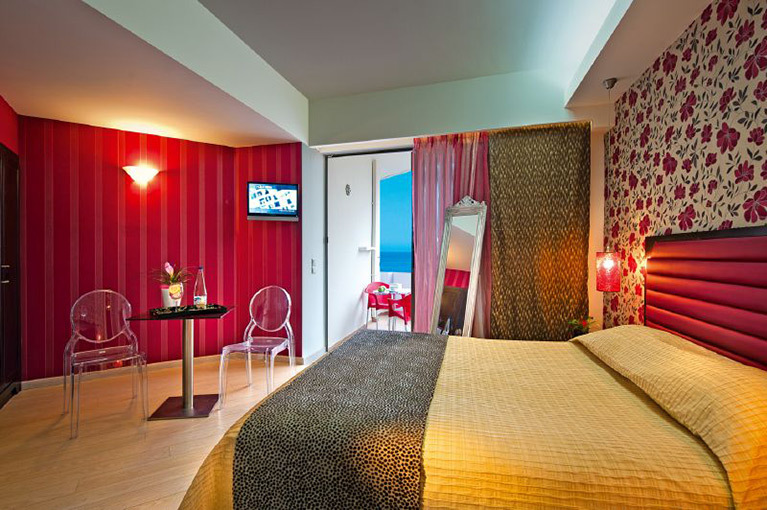 The beachfront hotel STERIS ELEGANT BEACH HOTEL is a family business started operating in 1978. It was completely renovated in 1999 and rebuilt in 2010. Mrs. Athanasia Manolakaki-Lariou is the soul and mind of the hotel, a woman inspired by passion and vision for providing absolute service and hospitality “art”, which inherited from her mother – and founder of the family business – Mrs. Evagelia. Personal care and service provided to guests, combined with warm, family and friendly atmosphere for which it was always exuded are the key priority for everyone working at the hotel. 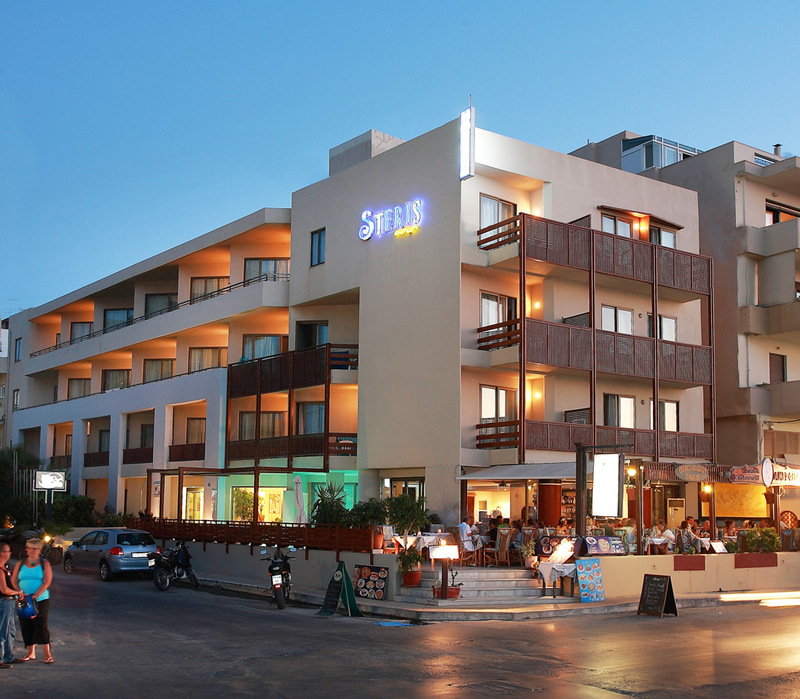 The STERIS ELEGANT BEACH HOTEL is ideally located just 20 meters from the deep blue sea with golden sand, and very near the city center, just 500 meters from the Venetian port of Rethymno. Here, apart from your sojourn facility, you will enjoy the privilege of taking pleasure in every moment, in a magical beach awarded the Blue Flag both for its clear waters and the security it provides. A list of all services that Steris offers. Before or afterwards swimming, enjoy few relaxing moments in the pool, enjoying fresh juices or delicacies from the snack-bar restaurant. 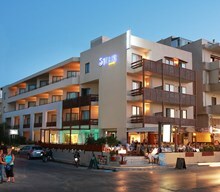 And remember, sun shines in Crete almost every day of the year! 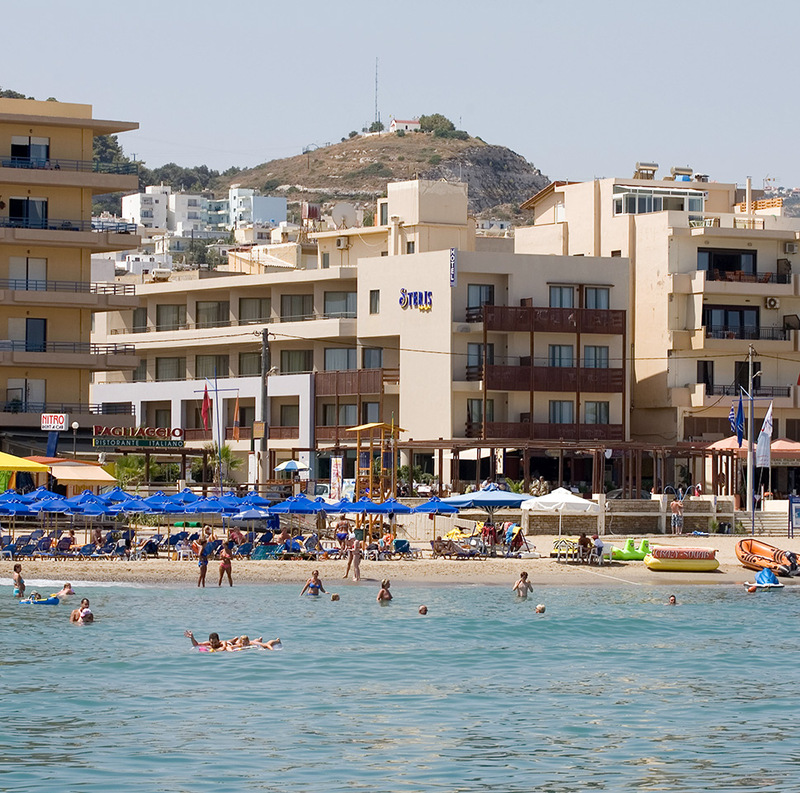 After 10 minutes of strolling along the beach, you are expected on the other side of Rethymno. It is the center of the old town with vibrant life and many contrasts looking forward to discover it. Choose whatever you prefer: dinner in a luxury restaurant with view over the imposing fortress, Fortezza, or in a small tavern by the sea? Delicious cappuccino coffee in a modern café or mastic preserve in a traditional coffee-shop? Stroll about the Venetian harbor or the minarets with arabesque? 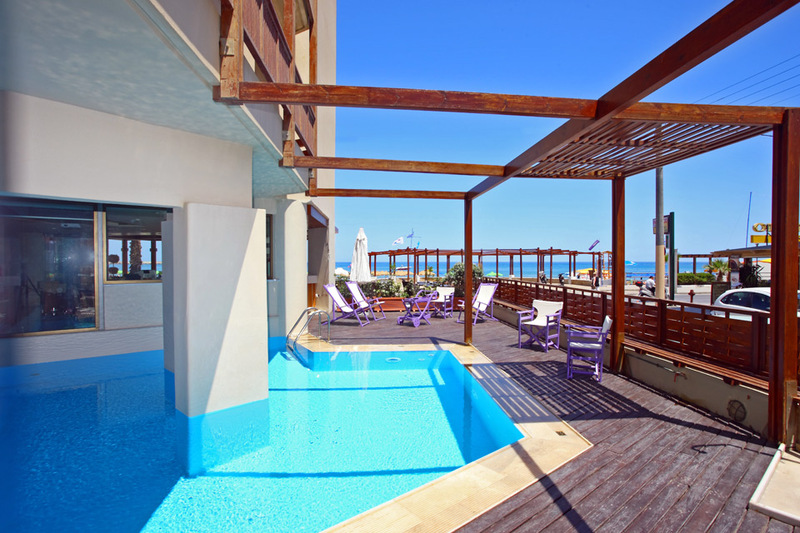 There are so many options in the town of Rethymno! 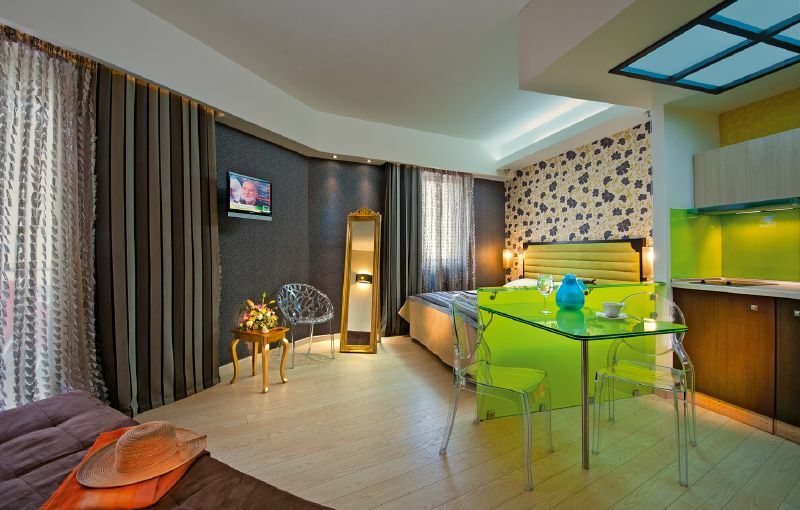 It is an ideal destination for a complete holiday experience. Here, you can have it all: through beginning exploring the 3500 years of Cretan civilization, but also discovering the many different kinds of entertainment expressing yourself.